Home » Just another day in Japan » Why, Japan, Why? If you can’t lie face down on the rug, the train station platform is the next best thing. 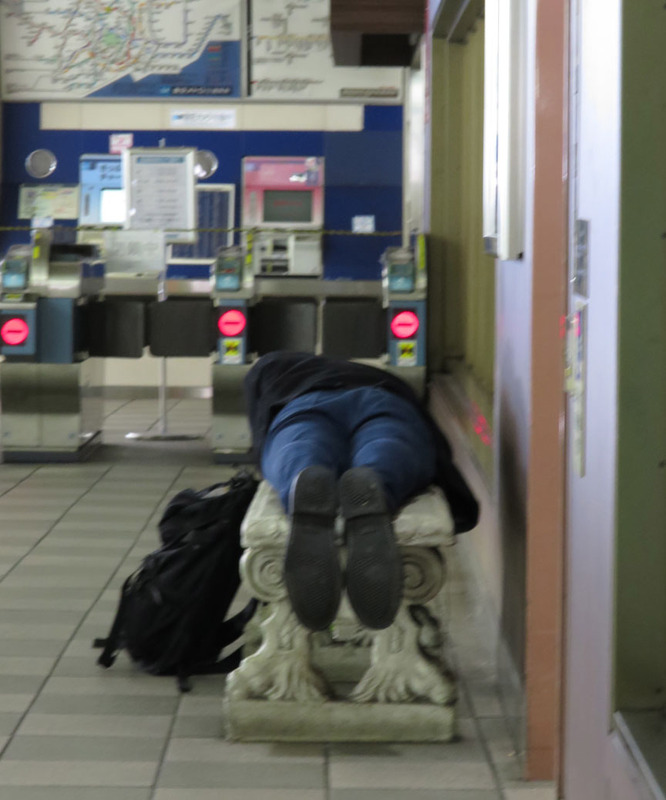 And at least at Korakuen Station, you can pass out on a bench with aristocratic style.